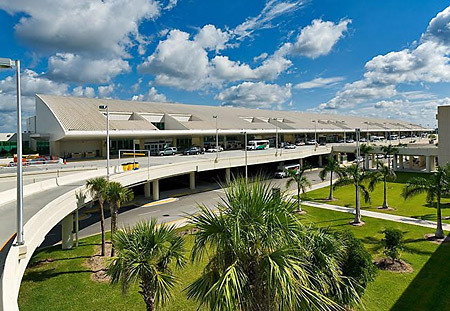 If you are traveling to Naples, Ft Myers, Port Charlotte or another Florida East Coast city by air, you will probably be landing at the Regional Southwest International Airport. Sometimes it can be difficult to find a reliable and experienced driver to accommodate you or your group, but look no further as our professional drivers are available day and night to assist in getting you to your destination. Our drivers are local residents who know the area well and provide excellent friendly service. All vehicles and drivers are licensed and insured and we offer affordable rates. Local residents and visitors enjoy going on cruise vacations leaving from either Miami or Ft Lauderdale ports. We offer direct private rides to and from these ports for your convenience for individuals or groups both one way and round trip. Ft Myers and the surrounding area is a great spot to vacation with beautiful beaches and a lot of history to take in as well. A historical home taking you back in time is the Thomas Edison Estate which is one of the most visited homes in America. This home was built as his vacation getaway and construction completed in 1886 and has been open to the public since 1947. This estate boasts a 21 acre botanical garden containing more than a thousand varieties of plants from all over the world. Also located on the property is a historical museum. Other interesting things to see or do includes deep sea fishing excursions, large flea market shopping, Butterfly Estates, boat tours, Manatee Park, Jet Blue Ball Park, Alligator tours and many, many more things to take in around the Ft Myers and Naples area.